Another antique doll quilt from this batch. This one is more faded than the others, however very charming, with its very interesting prints... Always source of inspiration. The light blue binding is interesting. 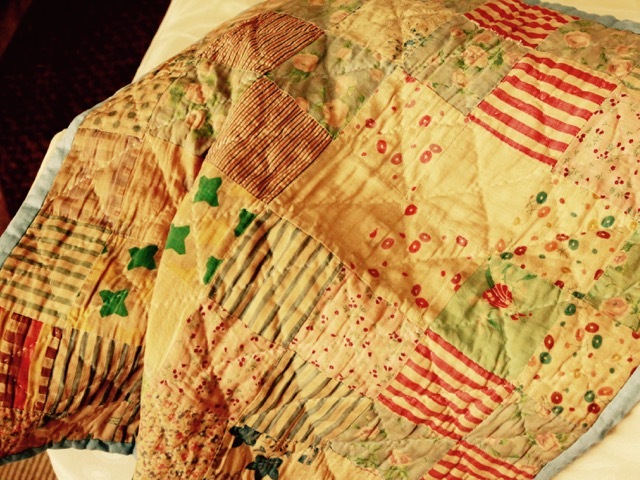 I wonder if it was added later as it doesn't seem to be in the same condition as the body of the quilt? Ton quilt est vraiment très beau ! J'aime beaucoup l'aspect "fané" qu'il a et malgré tout, ses tissus restent assez modernes non ? Merci de nous en faire profiter ! Bonne soirée ! I love this doll quilt! The binding is stunning against the other fabrics. This is lovely: I like that it is faded and can see how it could be very inspiring. You did well on your auction purchases! 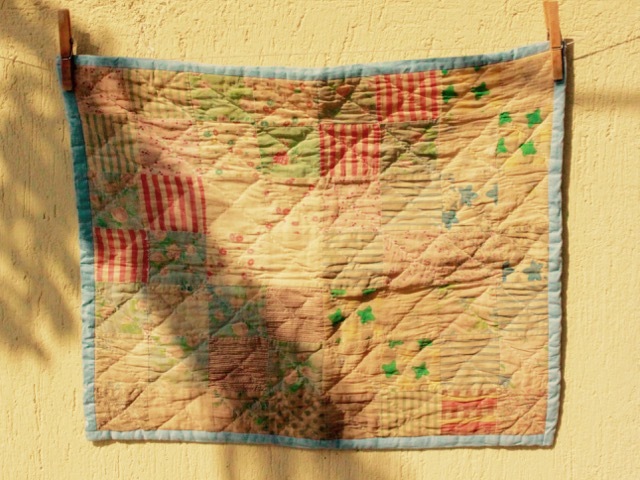 The hand quilting and the fact that it was well loved makes it even more precious I think. I love the close up you have shown us Christine, because it is fun looking at the fabrics. They could easily be in a modern line today.